The original recipes comes from the Japanese Chocolate Cornets. Once I discovered that the filling is basically chocolate pudding my brain started going in circles. I could do so many things with this simple recipe. Why buy pudding if you can make it yourself. (An exception would be for baking certain things that require pudding. Though for that I use Dr. Oetker anyway because it will be “hard” pudding.) No need to buy pudding, just grab some ingredients from your pantry and in 15 min you have pudding. Any flavour is, at least in theory, possible. Heat the milk, make sure you don’t overheat it, and add the vanilla. Mix the egg yolks with the sugar and add a bit of warm milk to thin it out. Then sift the flour and corn starch and add to the egg mixture. Mix well until all is combined, then add the rest of the milk. Strain the mixture through a sieve into a pot and heat. Stir until you have a heavy pudding consistency. Remove from the heat and stir in butter and white chocolate until melted. Place the pot into ice water and cover the pudding with a plastic wrap so that it won’t from a “skin”. You actually just made vanilla pudding, in case you didn’t notice. I would use this as a basis for all fruit flavours, except orange pudding I guess. Because orange and milk/dark chocolate go well together, so that should be better. However, for banana pudding a vanilla base is better. 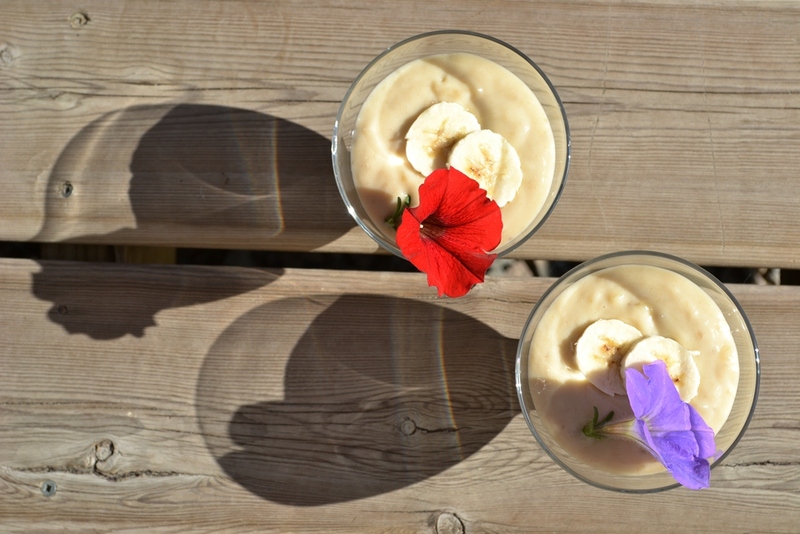 While the pudding is cooling off you can peal the banana an squish it with a fork until you have pureé. 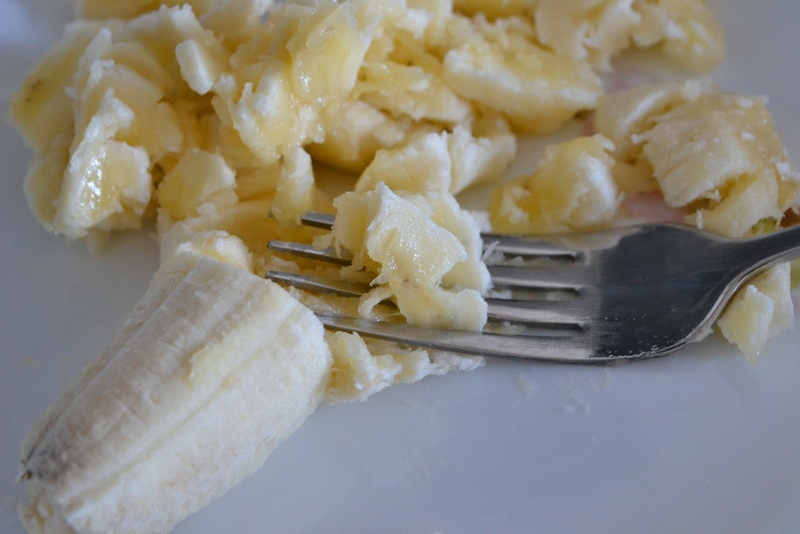 Of course you can also use a hand blender or stand mixer but for just one banana that is a lot of cleaning. 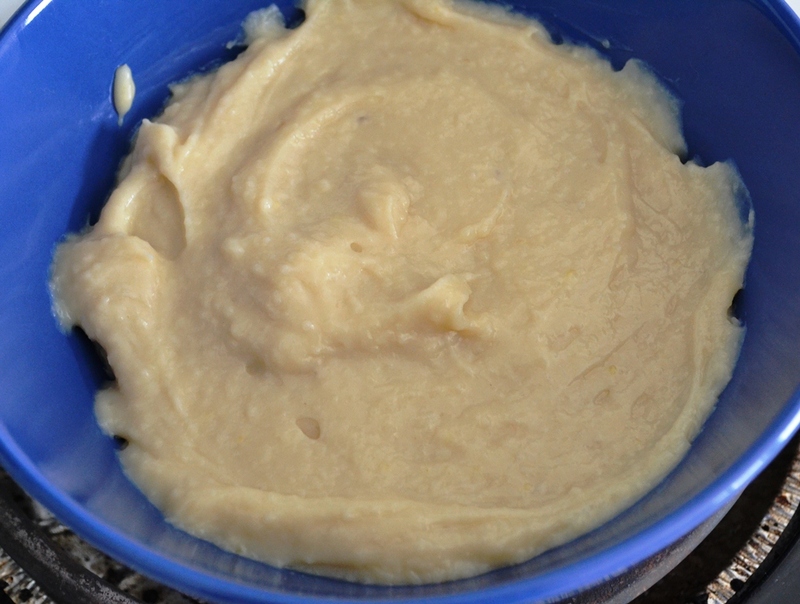 Once the pudding is at a reasonable temperature, mix in the banana pureé and combine well. Fill it into dessert cups and chill in the fridge for a bit. That way the banana has a chance to infuse the pudding. Decorate with a few slices banana or whipping cream, maybe some grated white chocolate would be nice too. Tip 2: This works of course with other flavours as well, like nectarine or mango. 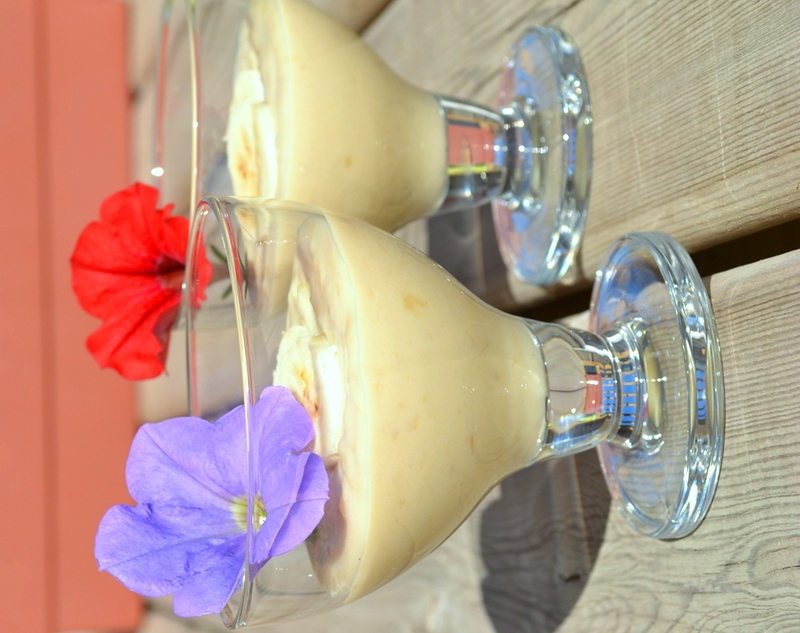 Just make sure you have a nice pureé you can mix into the vanilla pudding. I’m pretty sure I like anything made from banana. They are so versatile. I’ve heard great things about banana “ice cream” too. 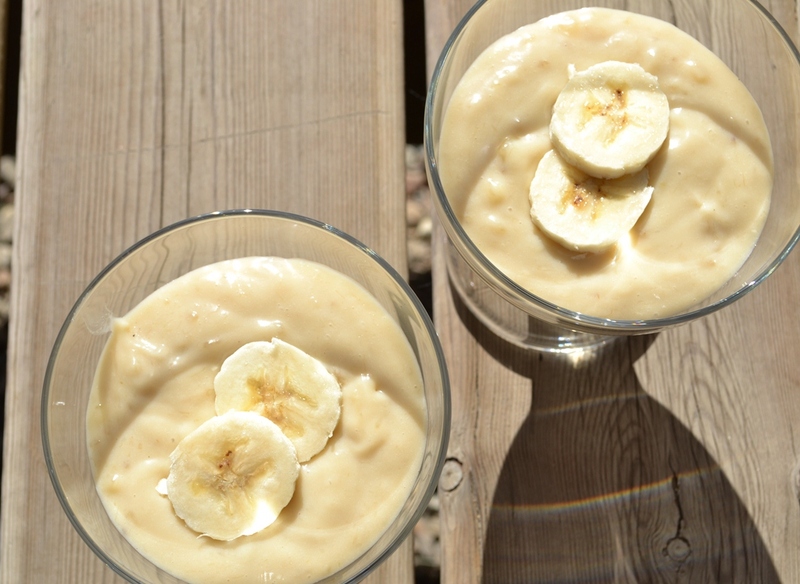 Just freeze a banana and blend, blend, blend until you’re left with something resembling soft serve ice cream. YUM!